Working throughout Moray & North East Scotland. New Builds, Extensions, Renovations, Conversions and Property Maintenance. Kitchens, Bathrooms, Wet & Dry Rot Treatments, Flat Roofs, Plastering Works, General Building & Joinery Works, Roughcasting & Pointing. 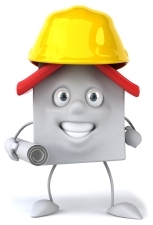 At Home Construction Ltd are much more than your average builder. Our family run business has one aim to ensure customer satisfaction. We specialise in delivering, affordable luxury and take the stress away from our customers by project managing all works, big or small. We offer a “one-stop-shop” service, meaning we will manage all trades required to complete your works. We bring tried & tested, in-house and outsourced tradesmen, covering all trades. We can also supply architectural services and help guide you through the planning process. At Home Construction Ltd is a family run business - Working throughout Moray & North East Scotland. Our aim is to ensure customer satisfaction. We have experience in domestic, commercial and housing development projects of varying sizes. We specialise in delivering, affordable luxury and take the stress away from our customers by project managing all works, big or small.